The best sunscreen has an SPF of at least 30 and is labeled both broad spectrum and water-resistant. It should be a lotion, because there's no way to know how much spray or powder products actually make it onto your skin. We cut harmful ingredients and tested our 20 finalists with a UV meter to measure coverage. Our favorites work well, smell great, and absorb quickly. In order to ensure that we were looking only at sunscreens with an adequate amount of protection, we cut any that had an SPF (sun protection factor) of less than 30. Lower numbers may protect somewhat against sunburn, but not against skin cancer or skin aging, according to the American Cancer Society. We also required that every sunscreen protect you from both UVA and UVB rays. UVB radiation is responsible for surface damage to the skin, like sunburn, while UVA rays penetrate deeper into the epidermis, where most cases of skin cancer develop. We cut any sunscreen whose SPF wasn’t accompanied by the “broad spectrum” label, which covers both UVA and UVB radiation. Protecting your skin from the sun’s harmful rays isn’t just about what you put on — it’s about how you put it on, too. According to Dr. Omar Ibrahimi of the Connecticut Skin Institute, “Most people do not apply sufficient amounts of sunscreen to achieve the advertised amount of sun protection.” He suggests the average adult use about a shot glass of sunscreen to cover their body. It’s harder to ensure you’re getting the right amount of coverage with either a spray or a powder. “Sunscreen needs to be rubbed into the skin thoroughly, without missing any spots, and spray sunscreens are the worst in this respect. People spray it on their bodies not noticing half of the spray is going everywhere else but on their skin,” says Dr. Lawrence Green, a board-certified dermatologist and associate clinical professor of dermatology at George Washington University. We cut any products with oxybenzone, octinoxate, or retinyl palmitate. Oxybenzone effectively absorbs UV radiation, but research has shown that it also absorbs into the skin. 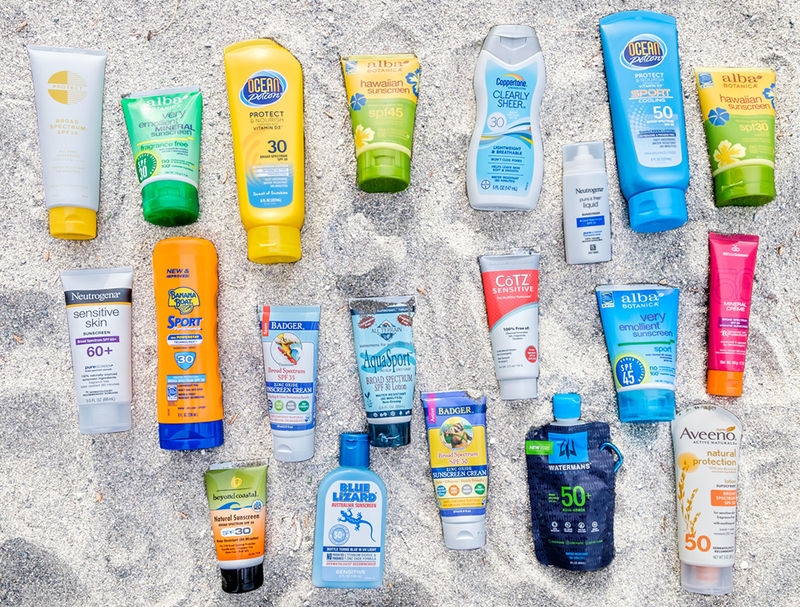 Though it — and octinoxate — is currently approved by the FDA for inclusion in topical sunscreens, there are safer, equally effective options out there. Oxybenzone has been reported to cause a high enough rate of allergic reactions to raise a few eyebrows. Retinyl palmitate is more complicated. While retinyl palmitate is known for its antioxidant qualities, according to a 2012 report from the National Toxicology Program, it may actually speed the development of malignant cells when applied right before going out in the sun. However, that study examined only retinyl palmitate, not retinyl palmitate in sunscreen. Scientists say we need more science to determine if it’s still a bad idea in skin products. To be safe, we bid it adieu for now. As we tested, it was clear that lotions too potent, too sweet, and too chemical were repulsive enough to turn heads; we sought friendly neutrals. Of our contenders, some of the most unnatural included Ocean Potion’s Sport Cooling SPF 50, which contains a “cooling menthol” that smells just like you’d expect — we couldn’t imagine enjoying that cold, medicinal odor wafting off of us poolside. Even worse was Waterman’s SPF 50 Aqua Armor: Not only does it have the consistency of wet cement, but it also smells strongly of bicycle tire. How you apply sunscreen is just as important as the type of sunscreen you choose, so it should be easy to slather on evenly. Coppertone’s Clearly Sheer SPF 30 was the runniest. It felt so thin going on, we were sure it couldn’t provide significant protection (and when we put it under our UV light, it turned out we were right). But the most disappointing texture belonged to All Terrain’s SPF 30 Aqua Sport, which dribbled out as a combination of clear liquid and solid chunks (a bit like grated horseradish sauce) and made for noticeably uneven application. To ensure each sunscreen was actually doing its job, we tested sun-blocking abilities using a UV meter and a light source designed to output consistent levels of UVA and UVB light. Impressively, every single one of our finalists did a stellar job blocking harmful rays, knocking the measurements on our UV meter from a four down to a flat zero. We also tested for consistent coverage using sun-sensitive paper, which changes color when exposed to UV radiation. 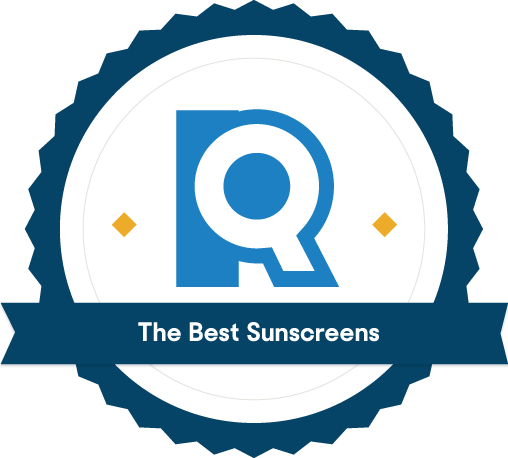 The best sunscreens had visible, even coverage. The darker, bluer, and more even the paper was, the better the coverage. 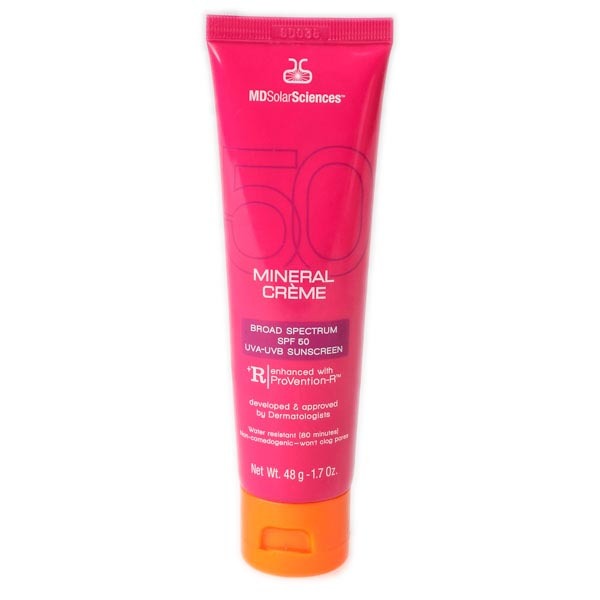 The broad spectrum Alba Botanica Sensitive Mineral Sunscreen SPF 30 received top marks in our sun-sensitive paper test, leaving an even patch of blue paper that indicated its efficiency at blocking rays. Its two active ingredients — zinc oxide (14.5 percent) and titanium dioxide (2 percent) — are both “classic ingredients that block UVA radiation,” according to Dr. Ibrahimi. 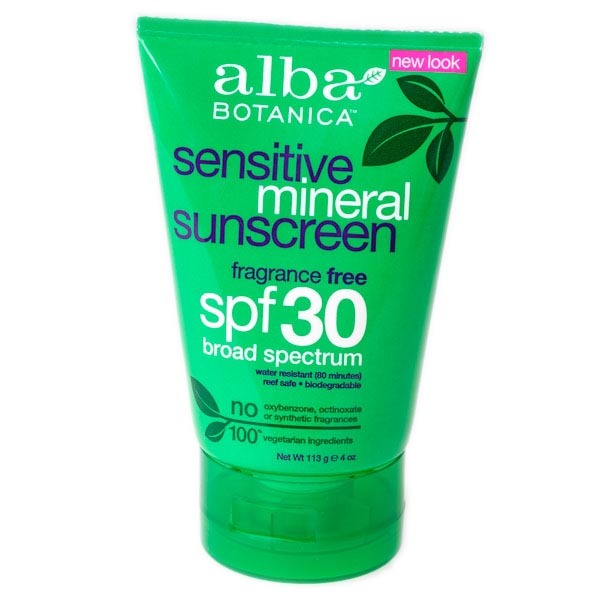 Because of this, we’re confident that Alba Botanica provides full coverage and essential sun blocking. Of all the Alba Botanica lotions we tested (four total), this one had the silkiest texture; it went on smooth and absorbed quickly. After two hours of wear, even the driest skin we tested still felt comfortably moisturized — not surprising, considering its lineup of moisturizing ingredients including shea butter, jojoba seed oil, and aloe. There was a slight white cast to the skin immediately after application, but it disappeared with a little gentle rubbing, leaving behind a sun-ready glisten. Ingredients like aloe vera, green tea, and chamomile extract are soothing on sensitive skin, and it contains no parabens, phthalates or synthetic fragrances. We also like that Alba Botanica doesn’t do testing on animals, so you can wear it with a clear conscience. The product is labelled fragrance free, and it certainly lacked the typical tropical scent. There is, however, a distinct natural-product smell, reminiscent of walking through the soap section of a health foods store. It’s subtle, and was hard to detect unless brought directly to your nose — in fact, it was undetectable after just 15 minutes. It was far better than Alba Botanica’s Very Emollient Sport Sunscreen SPF 45, which had a more prominent rubbery, new-pencil-eraser scent. But we wouldn’t mind wearing this one for a day at the beach. 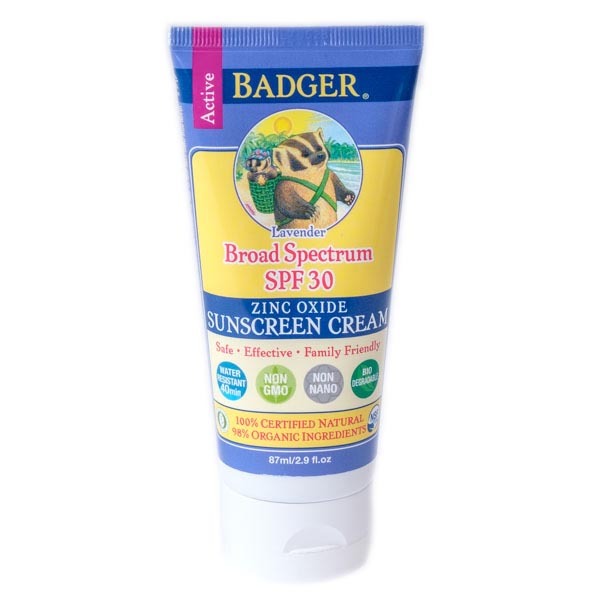 Badger’s Lavender Sunscreen Cream SPF 30 is a great choice for those with sensitive skin because of its limited ingredients. We could count them all on one hand: sunflower seed oil, beeswax, lavender oil, tocopherol (vitamin E), and sea buckthorn fruit extract. 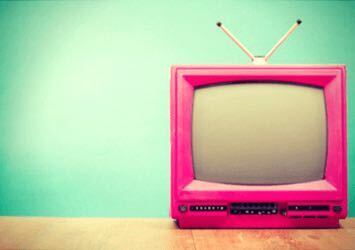 If you have sensitive skin, rosacea, or other skin conditions, less is more. Dr. James Worry, a Pittsburgh-based dermatology physician assistant, advised us, “The more extras that are in it, the more likely it is that someone’s going to be allergic to it.” Many Amazon reviewers with sensitive skin praise the product, claiming it’s one of the few that does not cause a rash. While the Badger Lavender Sunscreen Cream SPF 30 was one of the thicker lotions we tried, it’s 18.75 percent zinc oxide formula was one of the best performers on the sun-sensitive paper test, providing an ample amount of coverage. Beyond that, this sunscreen was one of the most pleasant-smelling sunscreens we tested — the lavender oil provides a pleasant aroma that we found relaxing, so it might just make a lazy day at the beach even better. Although it isn’t sticky or hard to apply, getting it out of the tube was like squeezing a stress ball. We could see it being difficult to one-hand squeeze while applying, especially as you try to squeeze out the last bits of product. Due to the lotion’s thickness, the whitish tint left by the zinc oxide didn’t completely fade after persistent rubbing. After about 10 minutes, it was mostly gone but still visible on medium-toned skin in direct sunlight. MDSolarSciences applies with more ease than any other product we tested, instantly blending into our skin; even when you’re applying solo, you won’t have to worry about a random streak of white residue you missed near your eyebrow. The 17 percent zinc oxide, two percent titanium dioxide formula was thin without being runny. And while it didn’t perform as highly in our sun-sensitive paper test as some other finalists, it scored points for its gentle and light feel. The product is well-loved by consumers, too, with 4.3/5 stars from 195 reviewers on Amazon. Specifically, they note that the lotion is long-lasting, scentless, and breathable. The biggest criticism was a resulting oily complexion, but we didn’t find that to be true in our own testing. This may be a result of differing skin types, but we’re confident that a little sheen is worth the sun protection. Unlike many sunscreens and lotions, our testers found that this one doesn’t leave your face shiny. In fact, some Amazon reviewers comment on the matte finish it gives to their face, without leaving a trace of white behind. MDSolarSciences sunscreen is the most expensive of our choices, with a 1.7-ounce tube priced at around $30. But a little goes a long way. Our testers discovered that they could fully cover their face with a pea-sized amount. And with its small size, you can take it with you anywhere you go. For more active endeavors, Badger Sport Sunscreen SPF 35 is designed to last up to 80 minutes of sweating and swimming. The 22.5 percent zinc oxide formula finished in the top three of our paper test, proving its high-quality coverage. Because it’s formulated more for heavy-duty wear than casual coverage, it doesn’t absorb as well as its lavender counterpart. But for active summer days, it accomplishes its most important goal: keeping your skin safe. 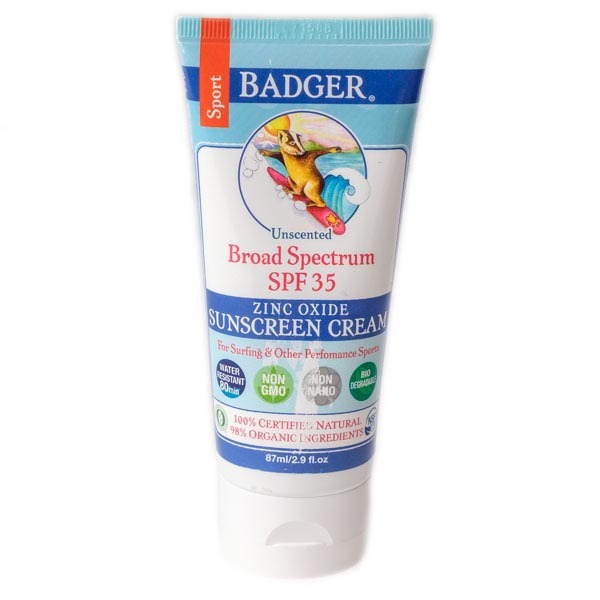 Badger Sport Sunscreen is unscented and has just five ingredients: zinc oxide, sunflower oil, beeswax, jojoba, and vitamin E. That’s fewer ingredients than our other Badger favorite, just lacking the skin soothing and moisturizing base (aloe and shea butter). Those five ingredients mean that this product will still be gentle on your skin, even if you need that extra water resistance. It’s also gentle on the environment — an especially important feature for sport sunscreens, which are typically used for ocean activities like scuba diving, swimming, or surfing. A lot of sunscreens have toxic and bleaching effects on coral reefs, as the sunscreen seeps off of the skin into the water. Although many claim to be “Reef Safe” or “Reef Friendly,” these labels are unregulated. Badger takes transparency to the next level by detailing the research behind harmful ingredients like oxybenzone and noting the those that are actually safe for the environment. The result? Badger Sport is free of damaging ingredients and worthy of its Reef Friendly label. Although the Badger Sport offers high quality coverage, it goes on thick and doesn’t absorb nearly as well. It also doesn’t smell as nice, leaving behind a distinct papery scent. 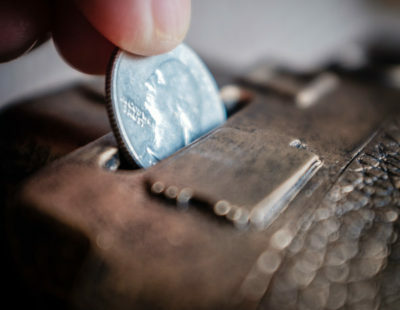 But we think those are small prices to pay for such effective coverage when you’re out being active. A sunscreen with an SPF of 30 will protect you from the damaging effects of the sun’s rays for 30 times longer than going without any protection at all. So, if you typically burn after baking in the sun for 10 minutes, a properly applied SPF 30 sunscreen will prevent you from burning for 300 minutes. “Once you get to SPF 30,” explains Dr. Worry, “there’s no difference beyond [that].” Additionally, if your complexion is extremely fair, a sunscreen with SPF 15 might not work as well as it would for someone with more melanin in their skin, so 30 is a safer bet. While a 2011 FDA ruling determined that no product sold in the U.S. can claim to be completely waterproof, certain products can boast water resistance during activities like swimming or jogging. To claim water resistance, sunscreens must pass an independent test designed by the FDA to prove they retain their stated SPF. No matter what your complexion, we recommend sunscreen with an SPF of 30 or more. But if you are very fair or burn easily, you’ll want to pay more attention to your sunscreen than, say, someone who bronzes like a Greek god after half an hour in the sun. Our experts told us that there isn’t any benefit in going much higher than SPF 30, but the takeaway here for the fair skinned is to be extra diligent in applying sunscreen every two hours — you may want to buy the largest size possible of your chosen sunscreen when you shop. What sunscreen is best for my infant? Beyond six months, there’s no real difference between high-quality sunscreen for adults and kids. To minimize the risk of skin irritation, the Mayo Clinic does suggest using a titanium dioxide or zinc oxide-based formula, rather than a chemical-based product — but all of our “adult” top picks fit this bill. We’d suggest an option like Alba Botanica or Badger Lavender. If you have specific concerns, you can also consult your pediatrician for recommendations. Should I worry about nanoparticles in sunscreen? Titanium dioxide and zinc oxide are two of the most protective broad-spectrum ingredients used in sunscreen. In traditional formulas, the large ingredient particles made sunscreens form a thick, white paste — not really the look most of us go for. Newer sunscreens break down those particles into smaller, “nano-sized” ones, decreasing the opacity and giving your skin a much more natural appearance. But can those nanoparticles be absorbed by the skin and harm living skin tissue? Current research says no. Multiple studies have shown that nanoparticles don’t penetrate the living skin layer. They tend to clump together on their own, resulting in not-as-nano-sized particles anyway. So, feel free to slather on the sunscreen — even the ones that aren’t marked non-nano. Should I get a base tan before I start using sunscreen? *all four also recommend reapplying right after swimming, sweating, or towel-drying.